There are several ways to experience Jerusalem easily and enjoyably: a walk through the Old City, a ride on the light rail from Machane Yehuda to Jaffa gate, and even on a double decker open window bus. 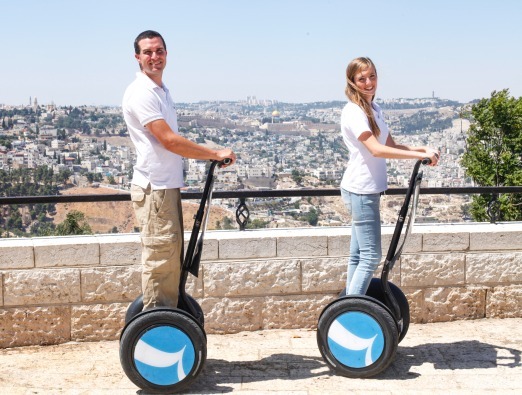 More recent tourism trends include Segway, electronic bike, and culinary tours. 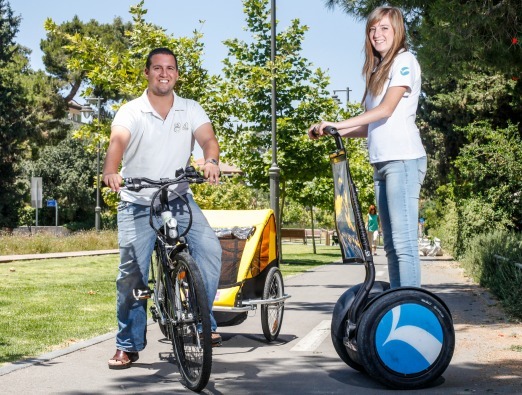 The Smart Tour company is one of the best in the industry and offers all of the above – including a variety of Segway tours, electronic bike tours, walking tours, and culinary tours in the capital. For more information and orders click here. 2. Old City route: a tour that sets out from the Old Train Station and includes stops at the windmill, Mamilla, and the walls of the Old City. 3. Cross-Jerusalem route: a tour which goes through Armon Hanatziv, to Yemin Moshe, and the walls of the Old City. 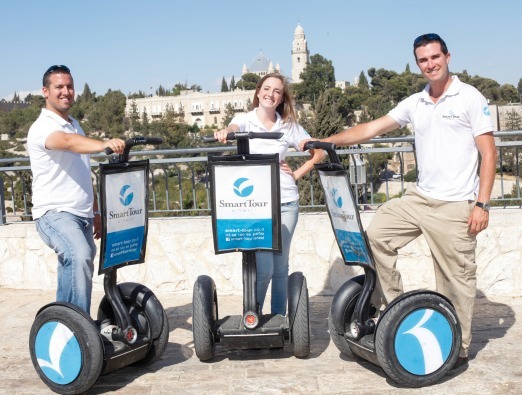 Smart Tour is Jerusalem’s largest Segway company with an impressive fleet of the newest Segways as well as hybrid electronic bikes with integrated navigation systems and more. 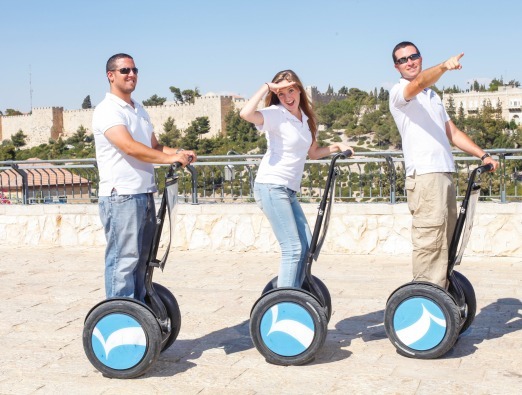 The company’s staff of experienced and professional guides all work to give you the best tour experience in Jerusalem. Until today, Smart Tour has served over 250,000 satisfied customers, including companies and organizations and tourists from all over the world.